South Korea will hold high-level trade talks with the European Union commission in hopes to improve Korea’s trade prospects in the European continent amid protectionism wave. The Korean Ministry of Trade, Industry and Energy said Monday that Trade representative Yoo Myung-hee will hold a ministerial-level trade committee with EU trade commissioner Cecilia Malmstrom in Seoul on Tuesday. 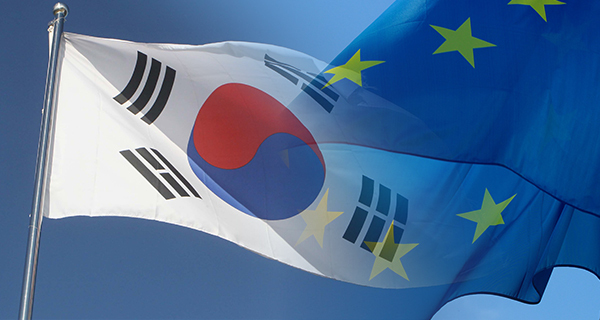 This year marks the eighth year since Korea-EU free trade agreement was provisionally applied from July 2011. At this meeting, the Korean delegation is expected to ask for improvement in export conditions for Korean companies including steel makers and pharmaceutical firms. Last year, the EU decided to put a quota on Korean steel products under its safeguard plan. Seoul will plead for reprieve in the quota for Korean steel products. The government will also campaign for easing in the approval process for exporting small volume of commercial vehicles and documental process in endorsing Korean drugs.